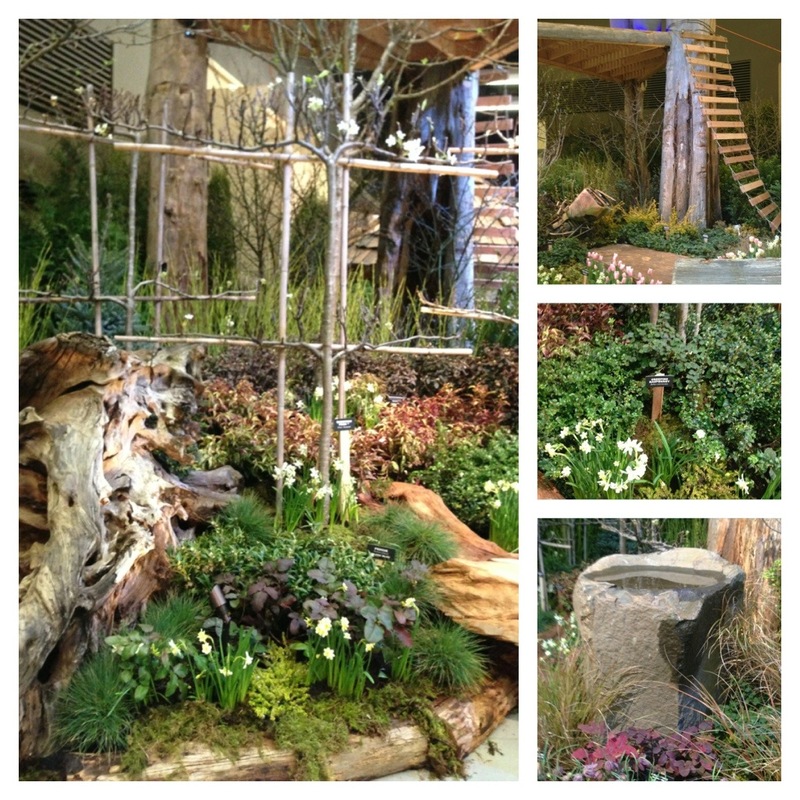 The NW Flower and Garden show (in Seattle) opened yesterday and runs though the weekend. 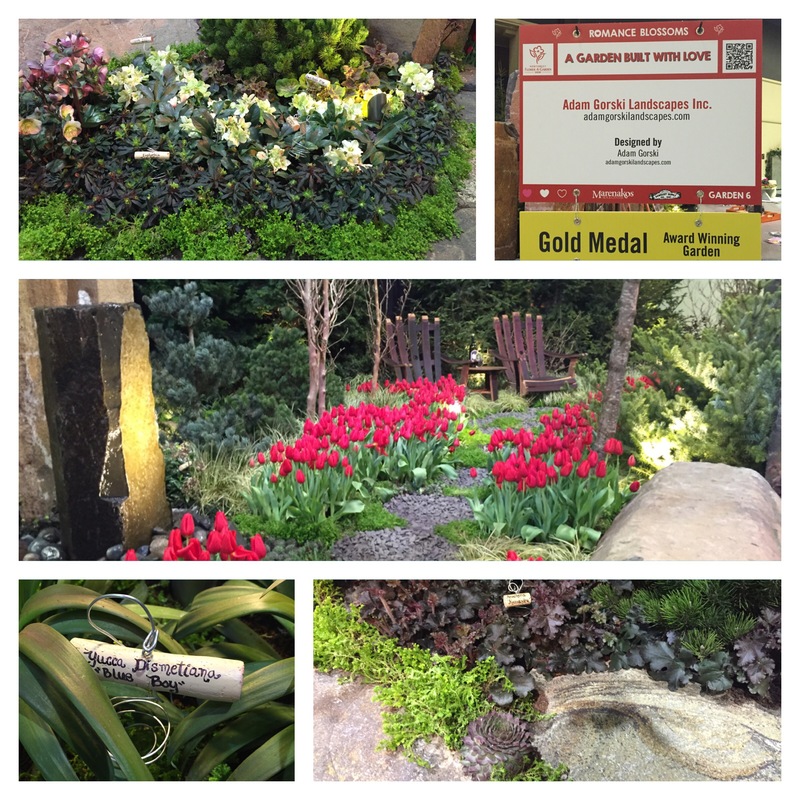 I made my annual trek to see the gardens and do a little shopping. I took a couple pictures of my favorite gardens to share. I’ll start with McAuliffe’s Nursery. It’s somewhat close to my house and I’ve visited it often. It’s a great nursery. • they had the best plant tags. Cuts of wood painted w/ chalk paint. 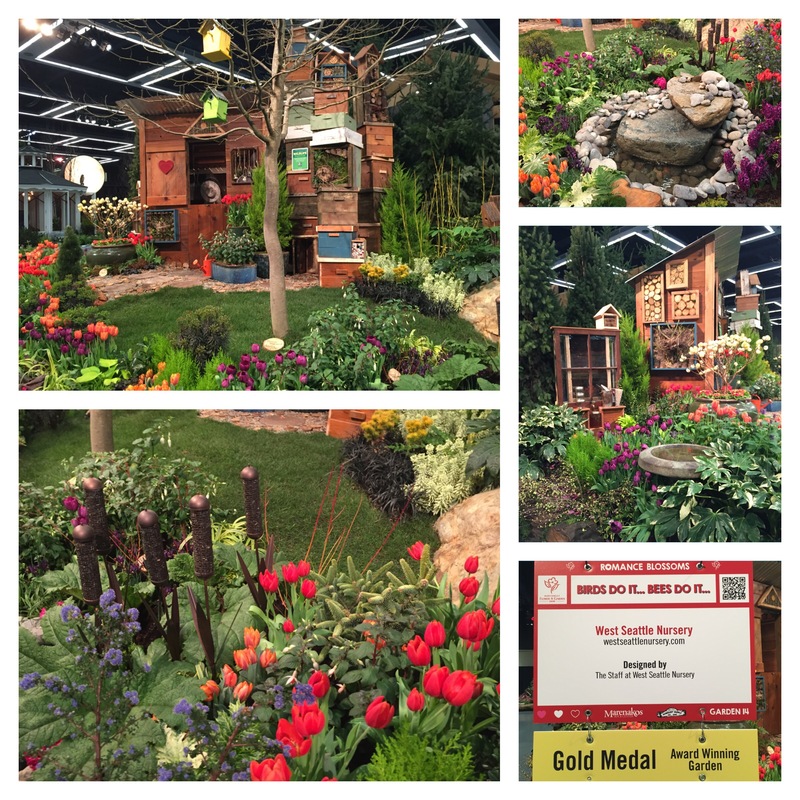 And the last garden I want to share was designed by Adam Gorski Landscape Inc. I liked the elegance and simplicity of this garden. I hope you enjoyed my garden show teaser. If you want to see more you’ll just have to visit the show. 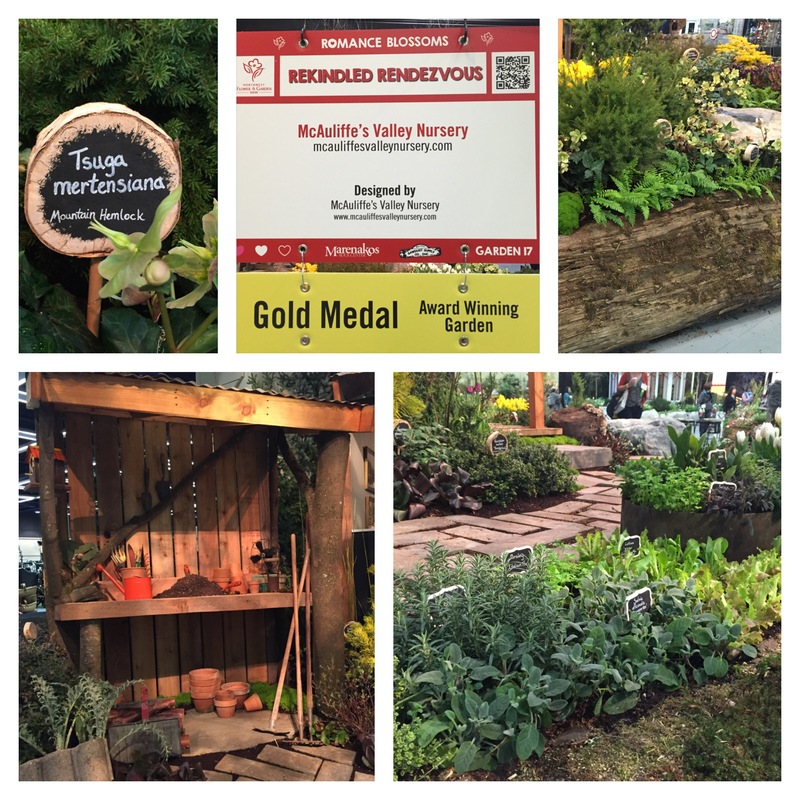 In addition to the whimsy, it has plenty of edible planting ideas. I especially loved the espalier pear trees and creeping raspberries. 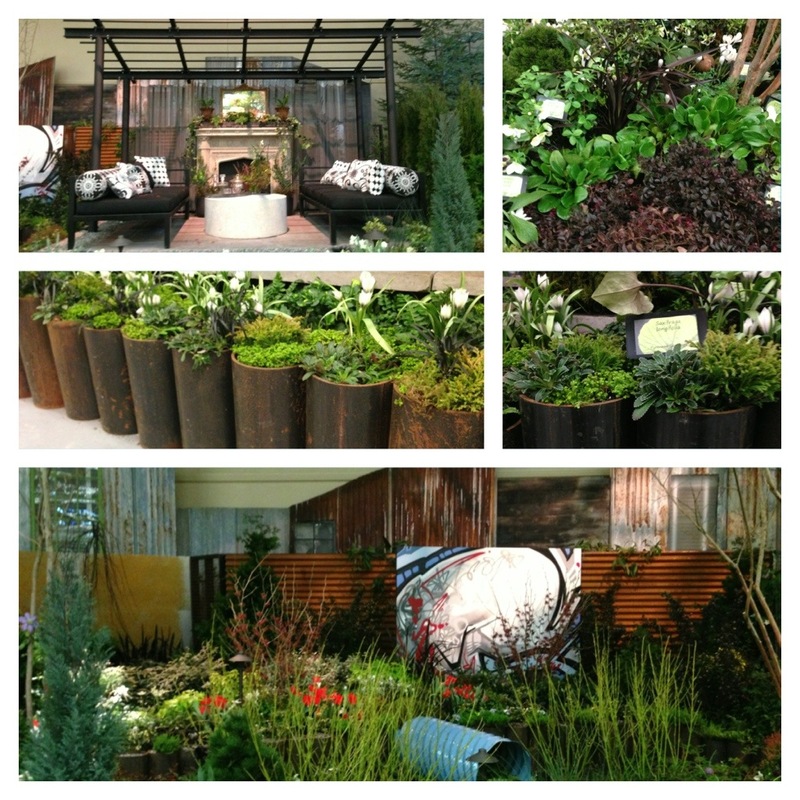 There are only two days left of the Northwest Flower & Garden Show and I still have a couple more gardens to share. That means I needed to get an early start today. The garden I’m sharing this morning, ‘Living Amongst the Stars,’ has a very usable/realistic living space. 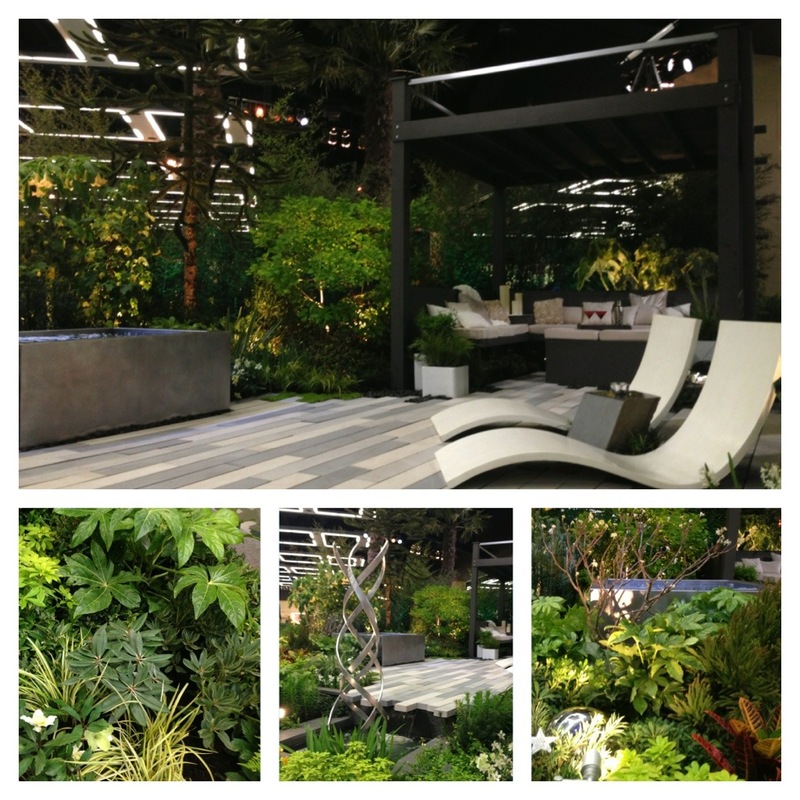 While walking the show floor these last couple of days I’ve been tempted by the metal hot tub, lounge chairs, private seating, and deck for viewing the ‘stars.’ I’ve also enjoyed the different textures displayed in the garden. This seems like the perfect hideout and you know how I love secret gardens. 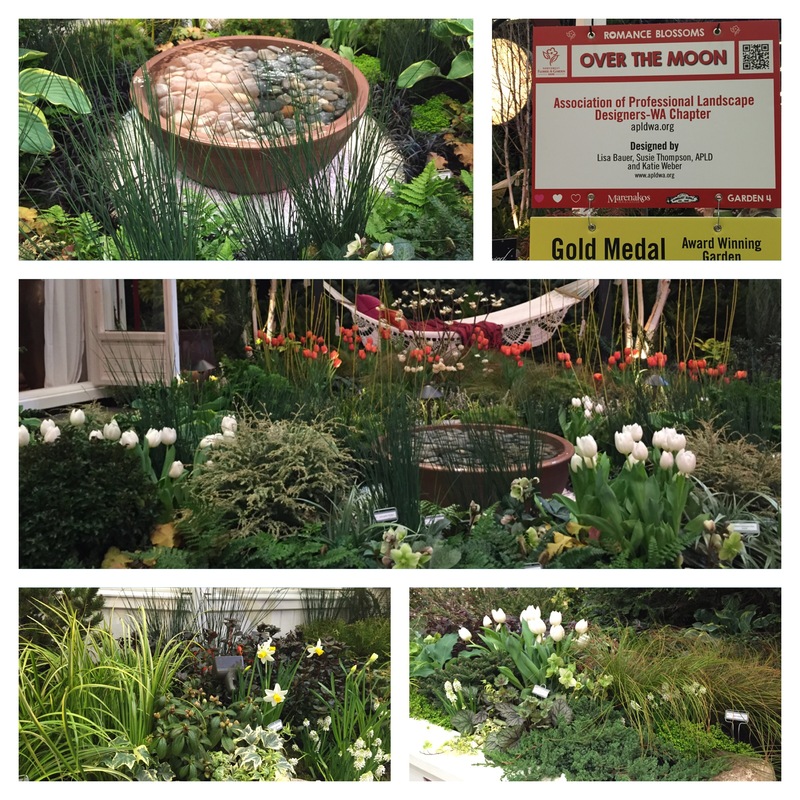 Well, I’m back at the garden show! Today I wanted to start by sharing the garden I photographed the most: A Pacific Northwest Beach Garden – It’s Never Too Late to Learn to Dance. 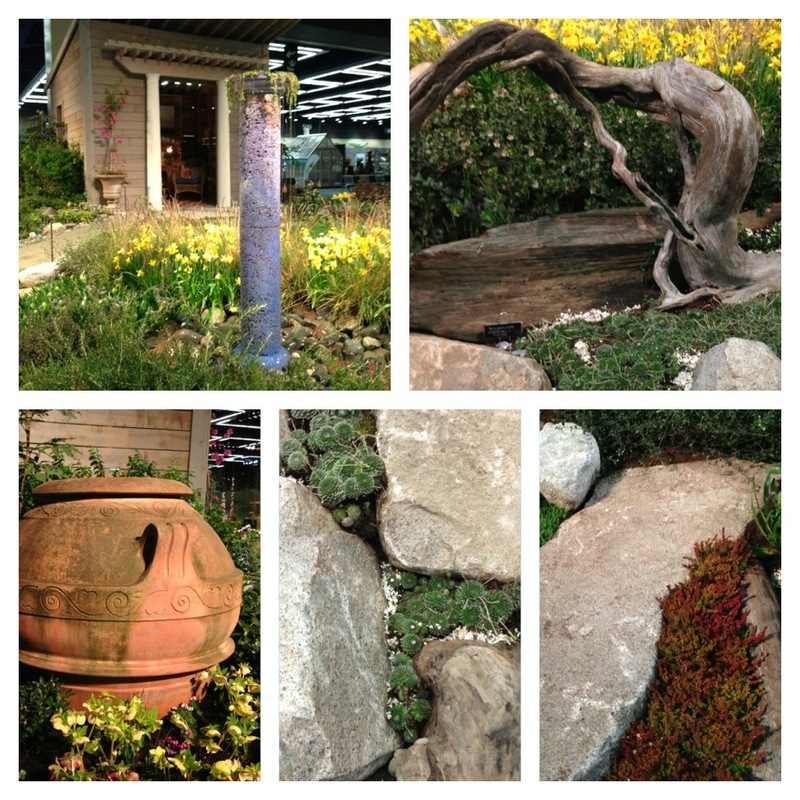 I guess I couldn’t help but snap photos of all the driftwood, stone, and groundcover plantings. Maybe I should move to the beach?